We had a nice little Easter festivus over the weekend. Squish participated in his first egg hunt where he was an active egg hunter, and not just cluelessly following my prompts to the hidden eggs. 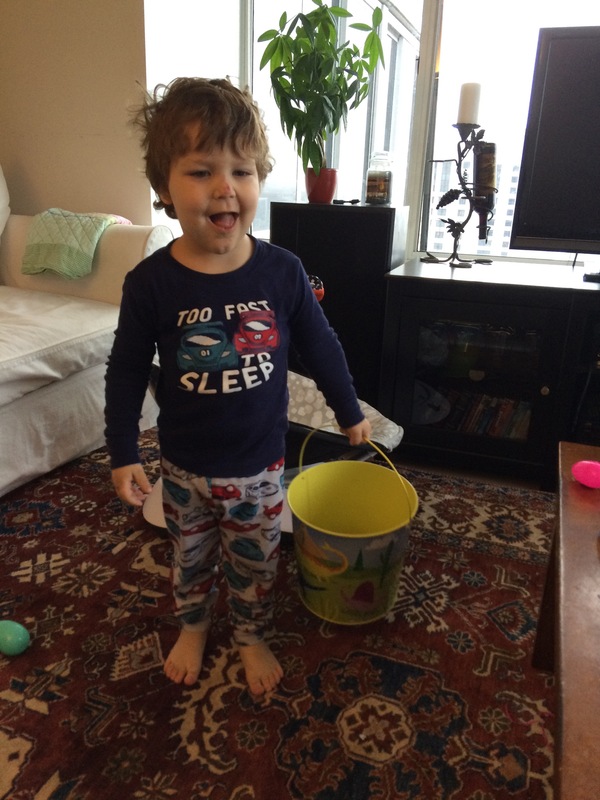 Actually, by the time I realized he was up and got out of bed myself, he had found most of the eggs and already plowed through half of his chocolate bunny. I’m glad he’s so resourceful and self-sufficient. 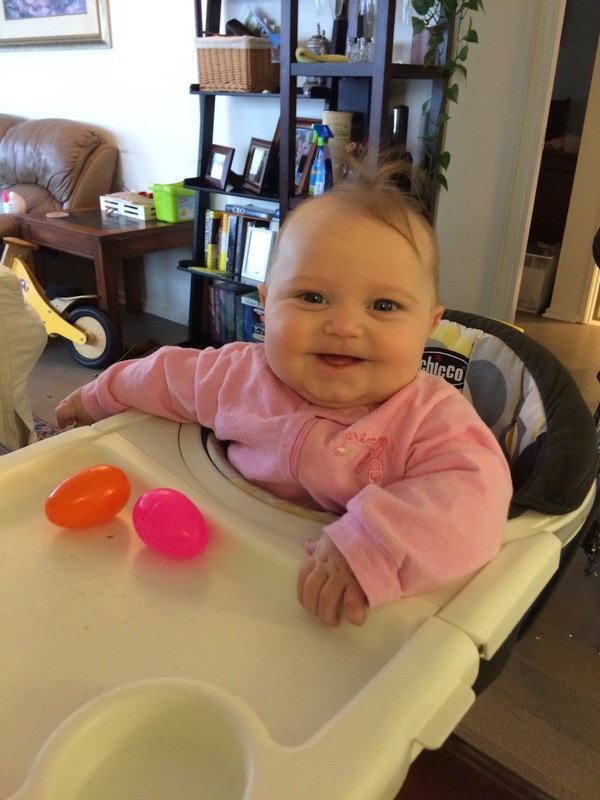 Buttercup was less hopeful, but she enjoyed the shiny colorfulness of the plastic eggs. 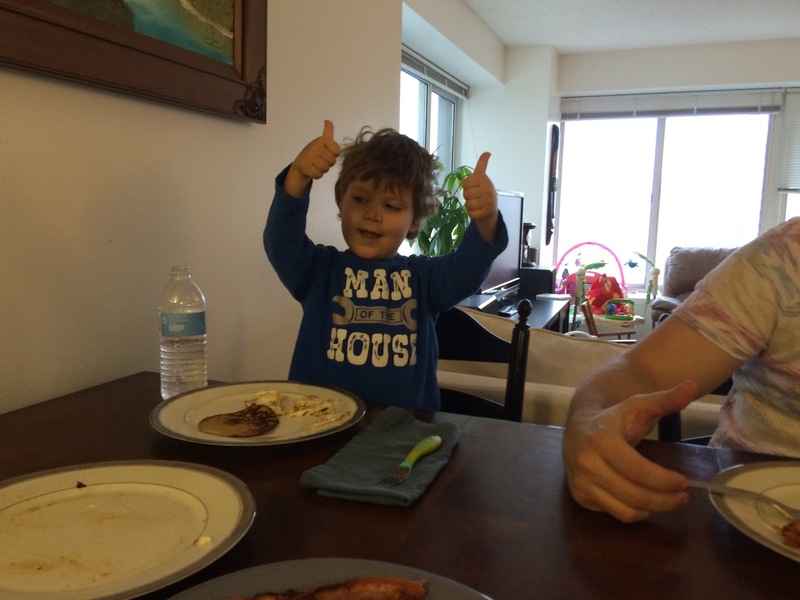 And my paleo pancake Easter brunch earned a two-Squishy-thumbs up from the most discerning food critic at my table. In addition to managing Easter Bunny activites, I did get a couple of good workouts in. Saturday was Gym Rat Day, where I got my squat on. 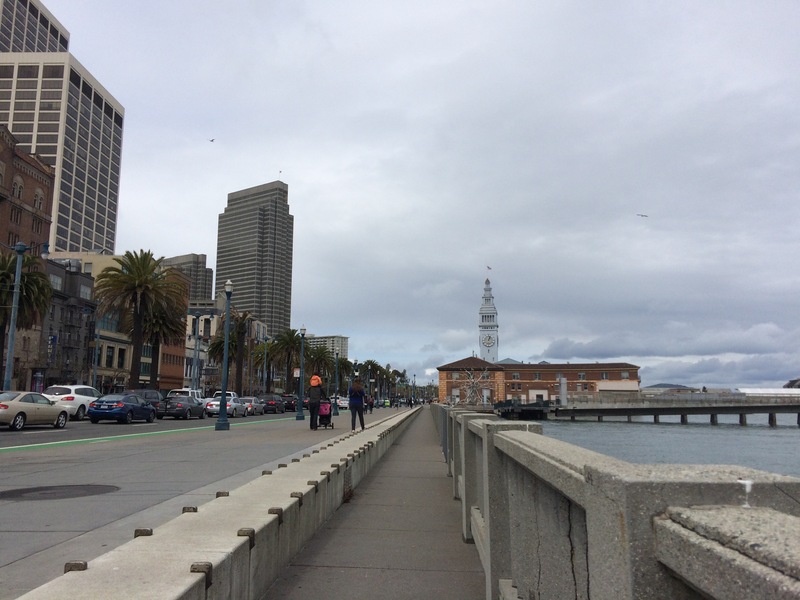 Then Sunday I braved the grey, rainy morning for a Couch-to-5k workout. Week 5, bitchez! I’m now 1 mile shy of completing a 5k. Then in the afternoon I finally cashed in my birthday gift certificate to Kabuki Springs & Spa for a massage and soak in the baths. This is the best spa in SF, I swear. I had an amazing, relaxing Swedish massage that felt awesome on my post-run legs. Then I soaked in the bath house and steam room and drank copious amounts of cucumber-infused water. I headed home in a fog of post-spa bliss. 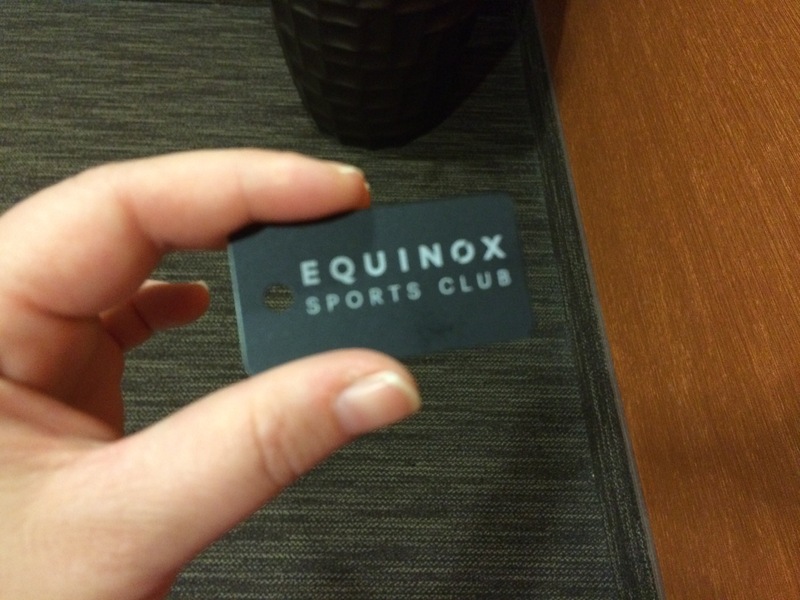 Meanwhile, my membership at Equinox is finally processed, so I’m a “real” member now! Woot. I tried to get a non-blurry picture of my pass, but it wasn’t happening this morning pre-coffee. I had submitted my application over a month ago, right before my last trip to Pittsburgh. Every time I’d go to the club hoping I was finally processed and in the system, I wasn’t. They were cool about it and let me work out anyway, but it was kind of annoying to give my whole story to the front desk person every time (I’m not trying to scam a free gym membership, really!) Finally I asked who I could talk to to get my status escalated, and Jamal hooked me up. Thank you, Jamal! Speaking of Equinox, I. Love. This. Gym. It has so much stuff, my mind was blown my first day. I just wandered around for about 20 minutes, trying to soak it all in. Any workout you want to do, they probably have the gear for it. And it’s really clean, too, and they have Kiehl’s body products in the locker room. It’s starting to become my most favorite place in the world. Time to go try and take over the world again. Go make it a great day!